If your classroom looks like a storage facility, it’s time for a change. Keeping a clutter-free classroom is just the first step in creating a positive learning environment. As educators, we’ve spent years attending classes, participating in workshops, going to conferences, and continuing our education. The more we learn, the more we create and collect. Because of the time and effort that we’ve spent developing these rich resources, it can be challenging to let some of them go. I’ve struggled with this for years. Entering my classroom one day, it struck me. The space looked more like a teacher storage facility than an inspiring place for students to work together and learn. I knew this needed to change. I decided to apply the same principle at school that I always have at home. If we haven’t used something within the past six months to a year, chances are we won’t end up using it. When objects take up valuable space yet aren’t used often or in meaningful ways, they become clutter. While the concept seems simple, I knew the task would be a big undertaking—but an important one. The more I thought about the impact of decluttering my classroom, the more I was reminded of my work in interior design prior to teaching. Over the past decade, as I’ve continued researching, taking courses, and completing certifications, my findings about brain-friendly learning have reinforced those parallels with my design background. For example, research indicates that light, space, and room layout have a critical impact on physical and physiological well-being. Studies from the Academy of Neuroscience for Architecture indicate that each feature of the architectural environment influences certain brain processes, such as those involved in stress, emotion, and memory. It’s our job as designers of our learning spaces to be familiar with some of these key elements where we can make a positive difference for student learning. As a current classroom teacher, I appreciate the power of research and new ideas to transform teaching and learning in a positive way. However, what I look for most is not the “why” but the “how to.” The following are a few tips that you can use in your district offices, classroom learning spaces, special classrooms, and open learning areas to make a positive impact on education. I strive to share ideas that are research-based, brain-friendly, affordable, practical, and impactful. 1. Declutter your space. If an item doesn’t directly impact student learning, store it where student learning doesn’t transpire on a daily basis. Learning spaces should, quite simply, reflect a space to learn. If students are the primary users of the space, the majority of materials should be for students. Classroom spaces are not teacher storage facilities. 2. Utilize natural light and make nature visible. Research shows the beneficial effects of nature on health and mood. The results of one interesting medical study suggest that patients who had access to a scenic view of nature were hospitalized for less time and received less pain medication than patients whose windows overlooked the neighboring brick building. 3. Allow students to have ownership of the space. The Academy of Neuroscience for Architecture has noted the importance of people having spaces that they can call their own. Feelings of comfort and welcome in a shared space are vital to the feeling that we’re all invited to actively take part. Are materials neatly organized, hidden out of sight yet accessible, and available for students to obtain independently? Are their original pieces of art tastefully displayed, to enhance feelings of trust and student self-worth? Are photos framed and creatively displayed to encourage a sense of community? 4. Ditch the desks. Flexible seating choices allow for movement, collaboration, and creativity. Furniture doesn’t have to be uniform within a classroom. Students have a preference for comfort. If we expect them to do meaningful work for extended periods of time, we should provide them with the space and seating to do just that. I invite you to see how we started this process in second grade and read more about its impact on learning. I’m humbled by the numerous educators around the world who share their redesign process with me, whether in person at conferences or via social media. I would love to hear from you regarding where you are in your process. Please check out these articles on classroom design that I’ve written, contributed to, or been featured in. 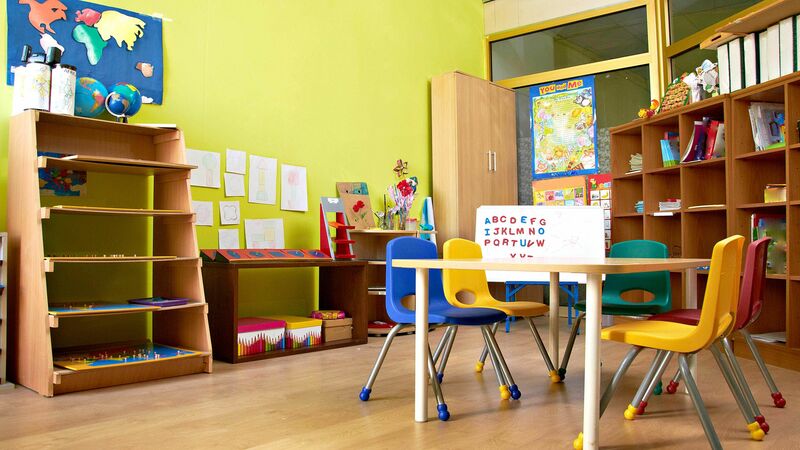 Even if you’ve completed your classroom redesign project, please share in the Classroom Cribs community and let your work inspire other educators. My closing advice is to ask your students what they’d like in their space. After all, our students are the reasons why we’re designing classroom spaces. They have incredible voices waiting to be heard.